Do you have any hoofstock animals your looking to sell? We have barn space right now for those of you looking to sell your hoofstock animals. Give us a call at 210-807-4247. The DBC Board of Directors and Staff hope that you have a happy and safe Memorial Day! The DBC Office will be closed on Monday the 26th. Fauna Research Inc. has been designing and building animal restraint equipment, including the TAMER series of equipment and portable management pens, box traps, and corral traps, since 1984. The TAMER series of equipment will help you manage your exotic herds of hoofstock and help you get the most out of your management and breeding programs while saving you money. The TAMER offers a chemical free system for humanely managing and restraining hoof stock for health maintenance, shipping and testing, while providing safer working conditions for handlers and keepers. Portable corral traps and box traps are designed for capturing most hoofstock and are especially effective for trapping deer and antelope. Quality Whitetail Deer Auction Consignment DeadlineMonday, June 5thClick here for the Consignment Form! Members will receive a $20 coupon redeemable at TDA store, weekly TDA emails, TINES Email Newsletter, Bi-Monthly TRACKS magazine, Winter Auction Catalog, Spring Auction Catalog, Convention Catalog, and Membership. 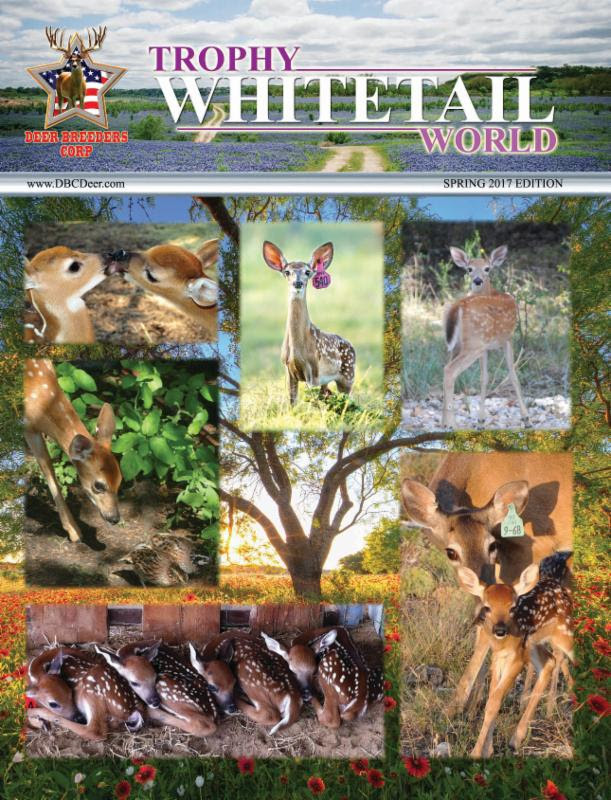 $150 coupon redeemable at TDA store; weekly TDA emails, TINES Email Newsletter, Bi-Monthly TRACKS magazine; Winter Auction Catalog, Spring Auction Catalog, Convention Catalog, and Membership Directory. Individual personalization of your choice of selected items at the TDA store. *Please call the TDA Office to discuss this option. In joining the TDA, your annual payment authorization will remain in effect unless you notify the TDA, in writing or by email (at least 30 days prior to the next annual billing date of any changes to your account information or your account termination). Thank you. 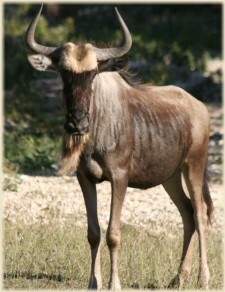 Female Wildebeest up for auction! WOW!!!! Get logged in to Wildlifebuyer right now! Over 40 auctions ending today! We have some outstanding auctions closing today at 1 pm! Yes you read it right….. We have 40 auctions ending! Get logged in and check it out!!!! Wildlifebuyer is the #1 online auction site to buy and sell animals! Be sure to check out the gorgeous Axis Bucks! If you have questions selling or buying on Wildlifebuyer be sure to call the office and talk to one of our helpful associates! 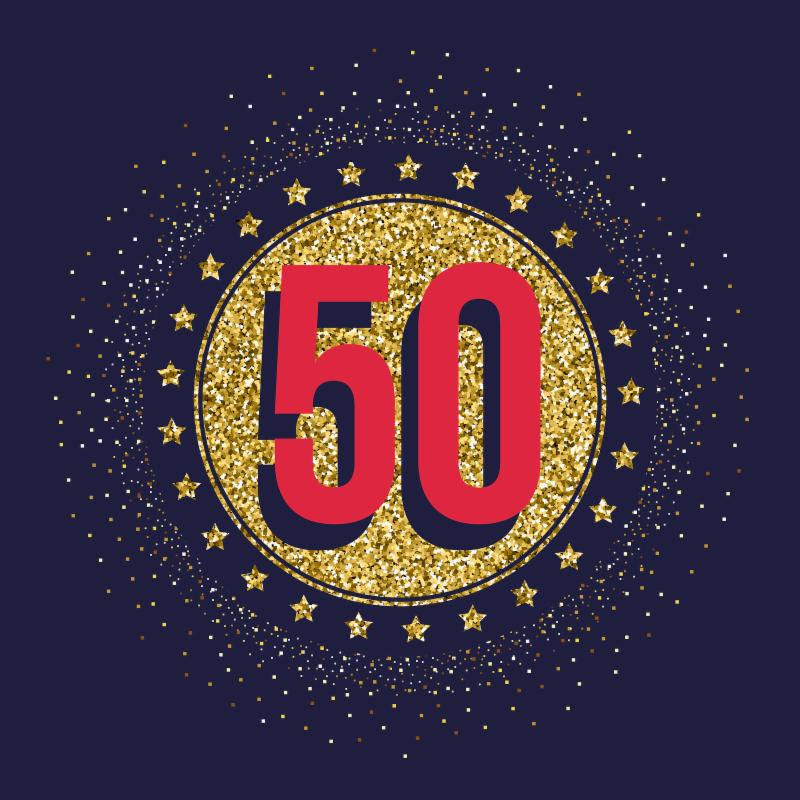 Please mark you calendars and save the date for the Exotic Wildlife Association’s celebration of 50 years promoting conservation through commerce. 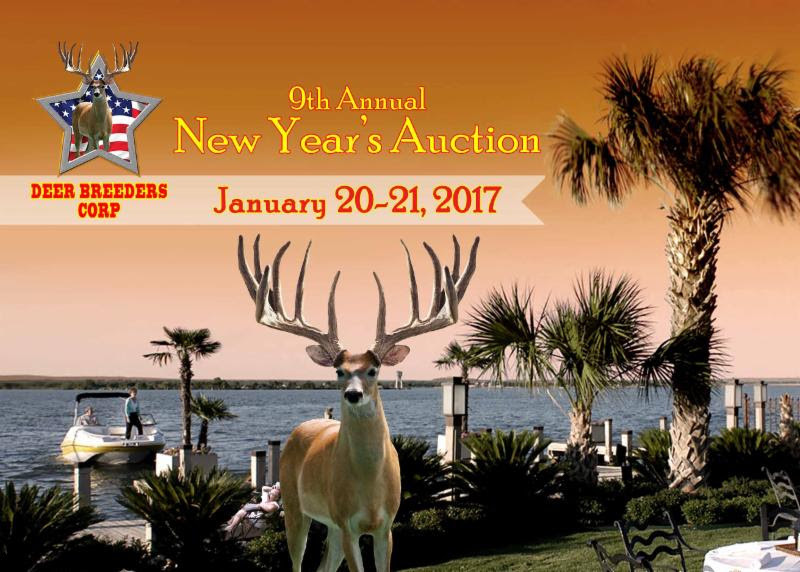 Join your friends and fellow exotic and whitetail breeders March 2-5, 2017 at the YO Ranch Resort Hotel and Conference Center for a tremendous weekend full of great and entertaining activities. For those who have always wanted to take the License to Carry course your association will offer this course for our members on Thursday, March 2beginning at 9:00 a.m. In Kerrville. The cost of the course is $80.00 dollars and will be limited to the first 100 registrants. All you need is your weapon, holster and 50 rounds of ammunition for the qualification course. The membership meeting packets will be arriving in your mailbox next week so take advantage of the early bird registration price. For more information on the annual membership meeting, the License to Carry course, sponsorship opportunities or to reserve a booth, contact the EWA office at 830-367-7761. 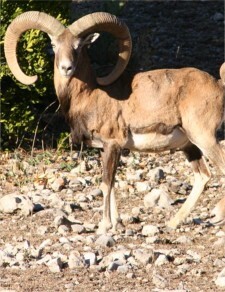 Check out our auction site, Wildlifebuyer.com! Check out these websites to get information on our auction, pricing and much more! Circle H Ranch & Lodge is one of the most unique places in the Texas Hill Country. If you are looking to have an unforgettable vacation in the Frio Canyon, or wanting to purchase exotic Deer, Antelope, or Sheep for your ranch, Circle H is the right place for you. Started as a Harwood family getaway, Circle H Ranch has turned into one of the most respected exotic hoofstock breeding operations in the State of Texas. CIRCLE H RANCH has long been known for its active involvement in politics as it pertains to protecting private property rights while also protecting animals from useless and harmful legislation. We are and have been involved with efforts to reintroduce animals back to their native homelands. Breeding a large variety of both super exotic and common exotic hoofstock, while dealing with surplus animals from across the country, we here at the Circle H Ranch can help anyone find almost any species. 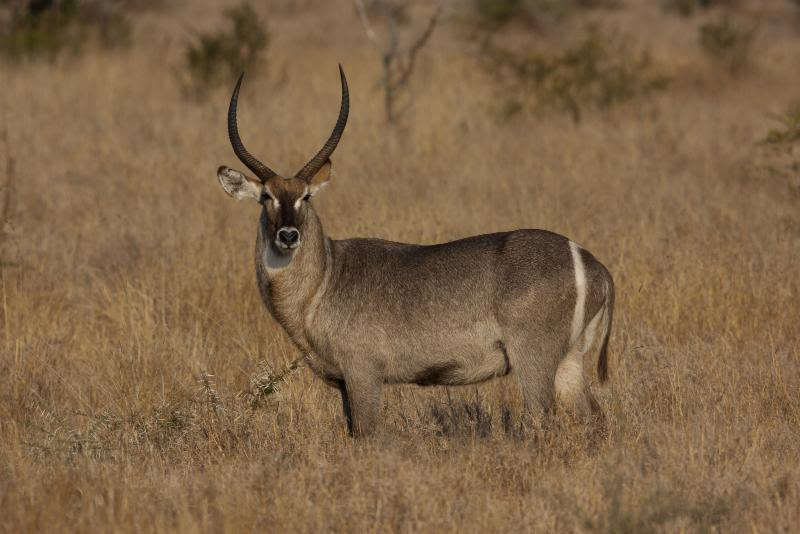 Red Deer, Blackbuck, Axis, Fallow, Mouflon as well as Kudu, Zebras, Scimitar, Bongos, Addax, Ibex, Markhor, Red Sheep, Transcaspian Urials and so many more are available. We have very strict guidelines for our breeding operation and require nothing but the best from our brokers when dealing with extra surplus from other facilities around the country. If you have an idea about what you are interested in, or don’t have any idea about what would work best for your particular location, we can help you. No order is too small or too large. We do have a surplus list from our holding facilities that we send out to a few select customers and ranches. If you would like to be added to the list we would love to have you. Please e-mail us and tell us to add your e-mail to our surplus animal inventory list. Look through the website and see if there is anything we can help you with. Don’t hesitate to call or e-mail us about any questions you might have because we would like to help. CIRCLE H LODGE offers a one of a kind adventure vacation for people of all ages. No matter the time of year, Circle H Ranch can be enjoyed by all. Explorers and relaxation enthusiasts, alike, can enjoy the changing of the leaves in the Fall and the roars of the exotic deer during mating season. Winter is perfect for campfires and star gazers or for cuddling up with a good book and hot cocoa on the enclosed sun porch or next to the fireplace. Spring is absolutely a gorgeous time to enjoy the beauty of nature at its finest. Summer of course brings fun in the sun at our pool or on the Frio. Located in the Frio Canyon, Circle H lodge is a uniquely special place for lodging, fun, and relaxation in the tranquil Texas Hill Country. Relax on the porch or decks and soak up the panoramic views of nature at its finest. We are just minutes away from the Frio River for tubing out of Concan, Garner State Park, Utopia, and Lost Maples Natural Area. Although you might venture out for the day to one of these other locations, most of our guests choose to spend their time relaxing at our own peaceful haven in the natural, spring-fed private pool. Circle H Lodge is a secluded, private, and historic home which can accommodate both large groups and small parties. The lodge is perfect for family vacations, reunions, private parties, wedding venues, or as a romantic getaway. Bikers, bicyclists, and car club members are welcome. You will be absolutely amazed at the breathtaking views and variety of wildlife surrounding the lodge in a free roaming environment. You might even think you are in another country or perhaps even paradise. The stars at night will dazzle anyone who lives in the city and has forgotten just how many you can see in the country sky. Campfire stories can be told while relaxing by the firepit as big and little kids enjoy roasting marshmallows. The serene, refreshing water and lazy, shaded hammocks will make you forget all your worries. Fishing is available on site. The kids will never want to stop catching tadpoles, minnows, and crawdads in the creeks and streams that surround the lodge. Hiking is available to those wanting a little more adventure. Bird watcher enthusiasts will enjoy one of the best bird watching areas in the United States. Our friendly and helpful staff is here to help you have the most unforgettable experience at the lodge, or help you with picking out the right animals for your ranch. Thanks for visiting. Please let us know if you need any other information or need help booking your reservation with us. The 9th Annual New Year’s Auction is just around the corner! Remember to Book your Hotel Rooms and Register for the free event! Sponsorship Opportunities and Booths Space still available!